What can I do if there is an echo during the meeting? This article is about how to do troubleshooting if there is an audio feedback. If there is an echo during the meeting, it is always caused by a "looped signal" between the microphone and speaker. There are a few suggestions that you may try to eliminate the audio feedback. 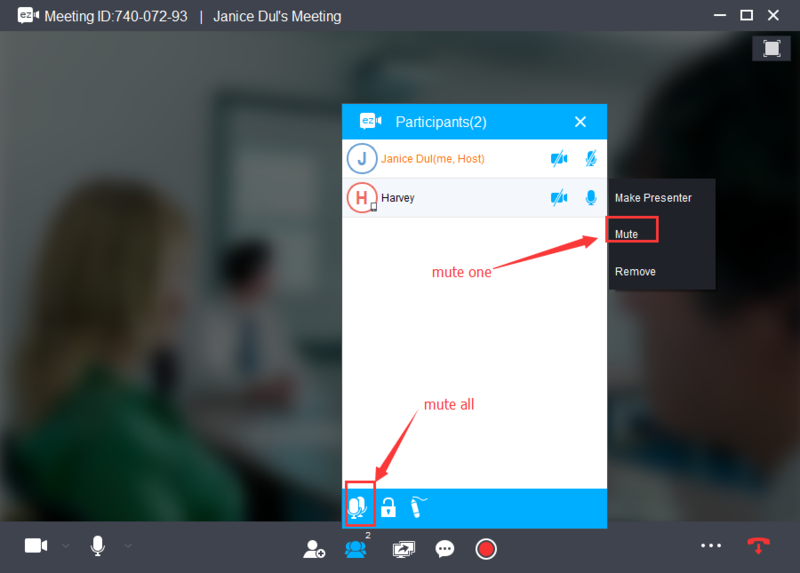 Some users may start a meeting on the computer, and join the meeting from a mobile phone in the same room to do tests, it will easily cause the echo. However, if you have to listen and talk over the phone, and watch the screen on the computer, it is suggested that you disable the microphone and speaker of either the phone or the computer. 2. Mute the other participants when one is speaking. If there are a lot of participants, it may easily cause echo because you do not know what microphone and speakers they use. So you may mute all the other participants and only let the presenter talk. If you use external microphone and speaker, you may change the position of the microphone and speaker, so that the speaker output isn't feeding directly into the mic. 4. Try to use a headset or earphone. If you are not sure what causes the echo, you may try with a headphone which may help. 5. Lower the speaker output, so the mic doesn't pick it up.